Can I just install a new variable speed system or even two systems to solve my comfort problems? No, installing a new system or two systems will not solve the problem of trying to control your whole home temperature with one thermostat. Installing a new system still leaves you with the problem of not being able to control the airflow to areas that are under a higher load (solar, people, wind) than other areas of the house. The reality is nothing will maximize the effectiveness of higher efficient variable speed equipment like zoning. Running the constant fan setting is generally less expensive and quieter with variable speed equipment. While it may, in some cases, help to minimize temperature differences, it won’t address conditioning of unoccupied areas or meeting the diverse load differences found in most homes. Only by having a thermostat to accurately control the temperature in each zone can you achieve true comfort while reducing wasteful operation. Additionally, if achieving better comfort is the goal, zoning will cost less than replacing a not so old system plus there are more efficient blower motors (Evergreen) that will work with the zoning system to boost the efficiency of your existing system. Will having my house zoned take a long time and create a mess? No, when you use the Arzel Zoning System, the dampers slide right into existing ductwork, eliminating the need for us to rip apart or install new duct runs. Most Arzel Zoning installations can be done within one day, so there is little disruption to your household. Will installing zoning in my home save me money on my energy bills? Zoning can help reduce your energy bills as you are no longer heating or cooling spaces that are easy to condition or aren’t occupied. Zoning also eliminates the long run time required to achieve comfort in hard to condition spaces like second floor bedrooms in the summer. If you are setting your thermostat on the first floor to 65 deg to achieve 75 deg on the second floor bedroom...you are wasting energy dollars. When you use a programmable thermostat, like the Arzel EzyStat, you can further increase your energy savings as you can establish settings which automatically regulate your home's temperature in both summer and winter or when you are asleep or away. The thermostat can be scheduled around your lifestyle and set-back the temperature when you don’t need as much heating or cooling. The energy saving benefit of programmable thermostats is they can be set to adjust the temperature setting according to a your schedule. Zoning will allow for a much quicker recovery in the occupied zone so set-back, or turned-down, temperatures can be maintained for longer periods. What type of maintenance is required with a zoning system? With an Arzel Zoning system there is very little service required as the dampers run on air pressure, not motors or gears. In the case that you would have a problem with the system, Arzel has one of the best warranties in the industry: a limited lifetime warranty on all parts. The need for service on an Arzel System is typically limited to having your HVAC contractor out to change your zoning layout when your home usage patterns change. For example, if you have a new baby and are setting up a nursery; or if your kids move on to independent life and you are turning their room into an office. With the Arzel Zoning System, your contractor can easily rearrange your zones to adjust to your new comfort needs. How do I know how many zones I will have? The number of zones depends on which areas you want/need to have control over. Define your lifestyle pattern before sitting down with your contractor by determining which areas are occupied throughout the day. Think in terms of How many thermostats do I need in my home. For example, if your family is constantly in the finished basement, you will want a thermostat there. If you are only upstairs for a few hours in the evening and to sleep, you will want a thermostat or zone there to reduce the heating and air conditioning delivered there during the day and increase it in the evening and in the mornings. Am I still able to install zoning if I do not have a basement but my ducts are in the floor? 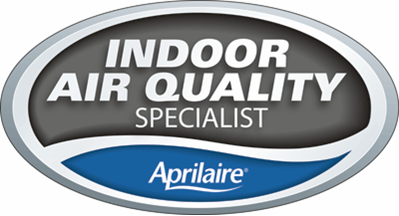 Yes, Arzel has a full line of dampers which are able to be installed in many applications, even those with little or no access to ductwork. We will go over which dampers are right for you home.